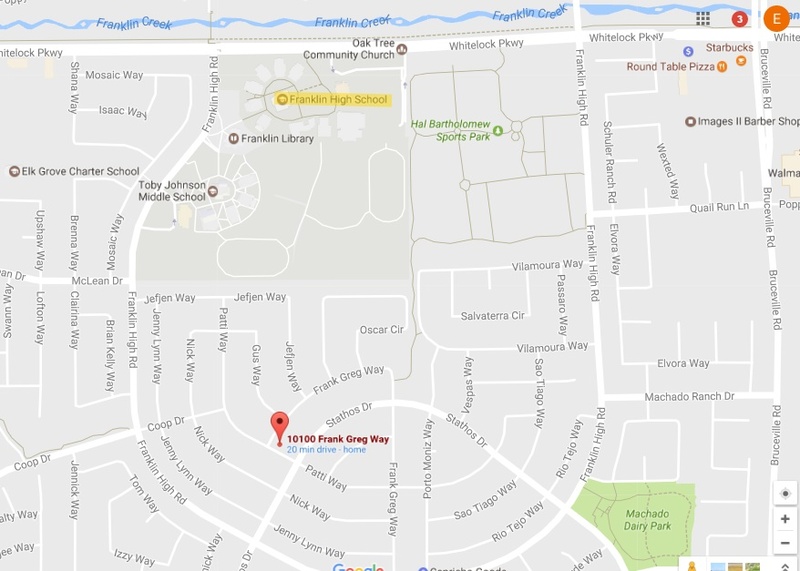 A male victim whose age was not revealed was assaulted in Elk Grove's East Franklin neighborhood near Franklin High School not long after classes finished yesterday. According to Elk Grove Police reports, "the victim was walking home" at 3:59 p.m. on the 10100 block of Frank Greg Way when he was approached by a black four door sedan. As the victim walked past the car, a passenger exited and approached the victim from behind. When the victim turned around, he was punched several times in the face and the suspect demanded his personal property. The victim fled on foot and the suspect was last seen in the sedan. The suspect was described as a Black male adult, 18, and was wearing a dark color hooded sweatshirt.